What will you be doing over your holiday break? If you plan on spending the entire break checking your Facebook, watching TV, or playing Farmville you should probably check out some entertainment alternatives. Your local friendly Teen Librarians have compiled some resources to help you out! Okay, now let’s get to the real fun. Hopefully you’ll be getting some video games for Christmas. Don’t worry, if you don’t get them you can just check them out from the library! Borderlands 2 just came out. We will have it. Go here to reserve your copy from the library! Avengers: Battle for Earth was released in December. You can also get it from the library here! Did you get or give an iPad, iPod, or iPhone today? If you did, welcome to your new favorite game! It’s free, it’s social, and it’s more fun than endlessly hitting refresh on your favorite webpage until school starts up again. This is a game called “SpaceTeam”. The first thing you want to do is find 2-4 other people who have also downloaded it and get them in the same wifi or Bluetooth with you. Then your goal is to fix the most breaking-est spaceship ever, by saying silly words! Everyone has a set of controls and some instructions for another player’s controls. Set your Spring-Loaded Irritant to 1, tell your sister to turn off her Twinmill, flip your phone upside-down to avoid asteroids, and do it all before slime completely covers the screen! If the idea of your house being filled with people shouting about sigmaclappers and wormholes doesn’t actually sound all that great (and your wifi doesn’t extend to a porch or patio you can exile bundled-up players to), have you tried Draw Something yet? It’s a game like Pictionary, where one player is given a random word to draw and their opponent has to guess what’s been drawn. The app is free and available in iTunes and the Android Market. You can also play online. This is a turn-based game, so there’s less talking with other players and more texting your friends to remind them that it’s their turn. Comment here and tell us how a librarian has helped you in the past. Follow Eden’s blog The Cosplaying Librarian and comment telling us you did. Follow Jessy’s blog at What Your Teen Librarian Does All Day and comment here saying you did. “Like” Teens at Kenton County Public Library and comment here saying you did. Easy, right? Just make sure to leave a separate comment for each entry on this post. The winner will be chosen randomly and will have to pick the prize up at the Erlanger, Covington or Durr Branch Library. The contest ends Monday, Dec. 31 at noon. The winner will be emailed and has 24 hours to respond. Good luck and happy holidays! Third Week of Giveaways; Making Life for Educators a Little Easier at KCPL! 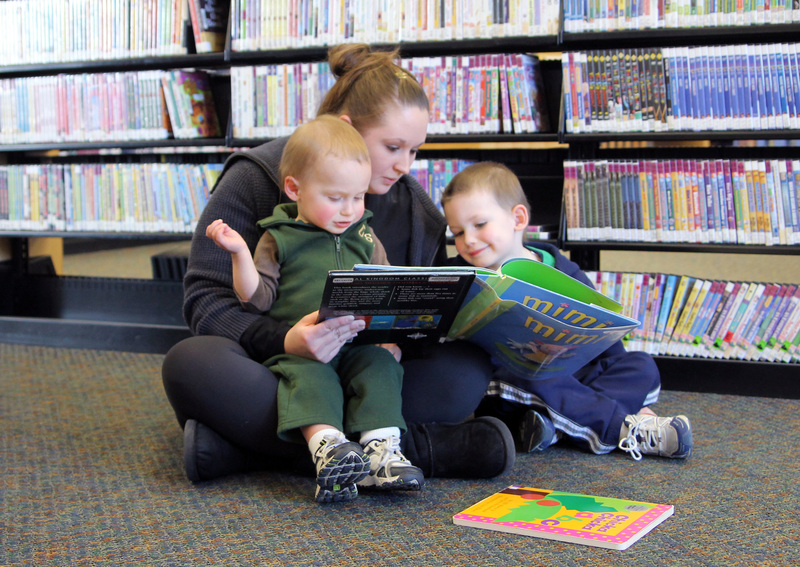 The Kenton County Public Library supports education in our community in several ways including special library cards for teachers and specific programs for homeschoolers. For week three of giveaways, we have a pencil pouch filled with goodies, a Library tote bag, several bookmarks and a $20 gift card to John R. Green. But first, let’s talk about some of the ways the Library can help make education a little easier at home and in the classroom. Biology, social studies, geometry; oh my! Being a teacher that provides schooling at home or in the classroom can be a lot to handle at times; balancing curriculums and finding the right books to pair with a lesson takes time, but the library is here to help. Most people don’t know that we have services catered specifically to help teachers and students in a homeschool setting. All three branches of the Kenton County Public Library now host homeschool programs on a regular basis that teach your child the subjects they need to learn. We’ve had huge success with these programs and we’re always eager to see new faces. While at our programs, children have created rock candy and cracked open geodes while learning about geology, visited the Extension Office to learn about growing and harvesting, and explored chemical reactions by combining Mentos and Diet Coke to make a skateboard rocket. Each program offers an exciting topic and new opportunities to learn through hands-on activities and visual aids, not to mention interaction with their peers. Our programs are designed to be stand-alone lessons, making them a great supplement to what you’re already teaching your children at home. 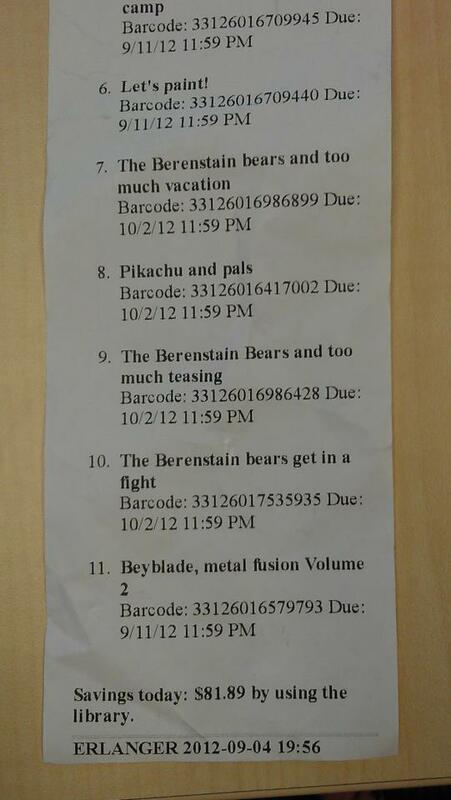 We like to have fun, but we take our programs seriously. We pay attention to the Kentucky Core Content Standards so that you can rest assured that our homeschool programs are educational and not just fun and games. So sit back, relax, and let us help them learn. Each branch offers homeschool programs on a wide variety of topics at regular intervals, so be sure to check our calendar to see which programs fit your needs and schedule. We also have a great list of resources that the Library carries on our Pinterest page. Not only do we offer great programs for children, we offer perks for the educators who help them learn. We offer special cards for teachers, both homeschool and traditional teachers alike, so you don’t have to use your personal card to check out books for your classroom. With a teacher card you can check out up to 50 books for 28 days, and we offer a nice little bonus: a 14-day grace period from fines for items that don’t make it back quite on time. All you have to do is show us a current school ID and paperwork, such as a pay stub, to confirm your occupation and we’ll set you up with a card. If you’re feeling a little overwhelmed and stressed with lesson planning, let us help you by gathering books for your next lesson. You can submit a request for a Teacher Collection at any of our locations in person, by phone or online, and we’ll gather books for your next lesson. Just tell us your topic and how many books you’d like us to gather and we’ll carefully select books that fit your request and make sure they’re ready when you need them. We know being an educator of any kind takes a lot of hard work and preparation, and we’re here to help. Share this post with a friend via email, Facebook or Twitter and comment here that you did. Easy, right? Just make sure to leave a separate comment for each entry on this post. The winner will be chosen randomly and will have to pick the prize up at the Erlanger, Covington or Durr Branch Library. The contest ends Monday, Dec. 24 at noon. The winner will be emailed and has 24 hours to respond. Good luck and happy holidays!